It’s common to have a “type” regarding preference in romantic partner, but, like why are so many of us drawn to different versions of the same person in physicality, profession, or the weird way that they stab you in the effing back? 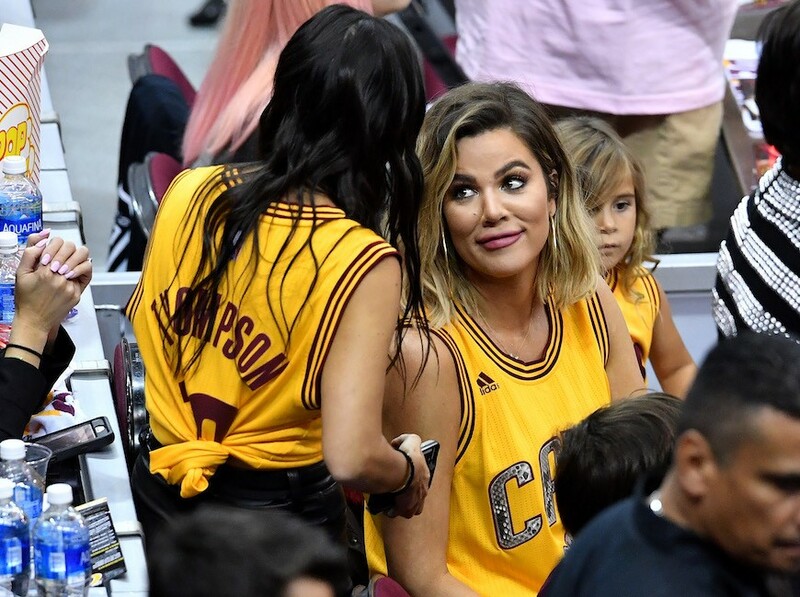 Asking for a friend…named Khloé Kardashian, who this week on Jimmy Kimmel Live defended her penchant for philandering NBA players. To be fair, all the men I date are 90-pound, dark-haired, pale musicians, and my friend who lives in San Francisco seems to only shack up with clean-cut engineer boyfriends. So, are we all just masochists with a preferred torture weapon, or what? According to the pros, this goes beyond “I like what I like” and into “I am what I am,” with your type being a reflection of you and the narrative that you’re trying to build. Unpacking our attraction patterns begins with “relational self-awareness,” clinical psychologist Alexandra Solomon, PhD and author of Loving Bravely, tells me. That’s essentially the ability to audit your desires and how you react in relationships or otherwise. When you can be honest with yourself, you can see what kind of narrative you’re constructing. “It’s less about the [other person’s] qualities and more about who do you get to be. What’s the love story that you get to inhabit?” Dr. Solomon says. Most of us dip into specific dating pools because of how we were raised or because of what we seek out. My SF friend, for instance, grew up with a desire for stability and financial security, and being with an engineer scratches that itch. As for me? Well, I interpreted I’m With the Band as the bible at age 15, and here we are. Freud’s concept of repetition compulsion is what allows us (read: me) to think, Okay, well that thing with the rock star didn’t work out—but maybe I just picked the wrong rock star. But how do we not learn any better when our NBA-star boyfriend cheats on us in a big, dramatic way that lands on tabloid covers? Doesn’t it sound familiar, like what happened with our last NBA-star husband? Well when it comes to narrative constructing, there’s this idea that maybe if you go for someone who fits a similar role, you can can finally get the happy ending to your original story. “Freud called that repetition compulsion,” Dr. Solomon explains. “His spin was sort of captioned psychopathology that we are drawn to the same pain point again and again in a desperate effort to master it.” This dark concept is what allows us (read: me) to think, Okay, well that thing with the rock star didn’t work out—but maybe I just picked the wrong rock star. “The desire for that same love story still remains strong, but you’re just trying to cast a different co-lead,” Dr. Solomon says. Of course, you should still be attracted to your partner. But there’s more to life than finding someone who fits the script of your prewritten love story—basketball player, or otherwise. If you’re afraid that “cheater” is your go-to type, here’s how to spot one in their tracks. Or, if you’re looking to mimic a Kardashian in a healthy way, here’s how Khloé successfully hacks the Chipotle menu.